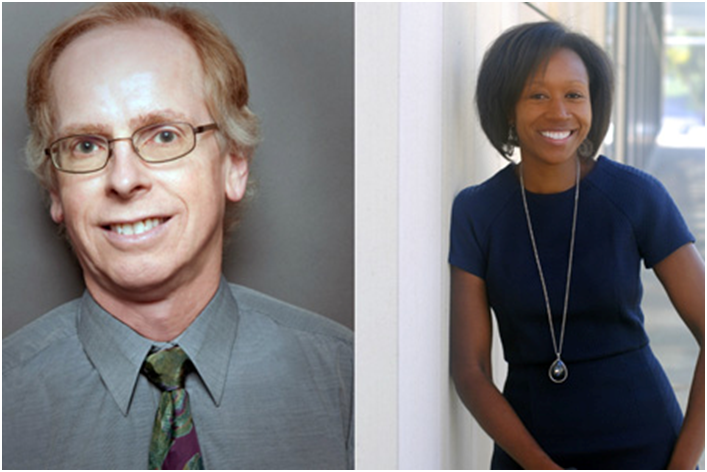 The National Academy of Medicine (NAM) announced today the election of two new members from University of California San Diego School of Medicine: James F. Sallis, PhD, Distinguished Professor and chief of the Division of Behavioral Medicine, and Cheryl Ann Marie Anderson, PhD, associate professor. Both are in the Department of Family Medicine and Public Health. Election to NAM is considered among the highest honors possible in the fields of health and medicine. Left: James F. Sallis, PhD, Distinguished Professor and chief, Div of Behavioral Medicine in Dept of Family Medicine and Public Health; Right: Cheryl Ann Marie Anderson, PhD, associate professor in Dept of Family Medicine and Public Health. Formerly known as the Institute of Medicine, NAM was chartered by Congress in 1970 to provide authoritative, independent, scientifically balanced advice on health and medical issues of national importance. Sallis and Anderson were among 70 new members and 9 international members announced today at the organization’s annual meeting, bringing NAM’s total active membership to 1,947 worldwide. More than 50 UC San Diego faculty members, current and emeritus, are members of NAM. Sallis has devoted his career to promoting physical activity and understanding how policy and environmental influences impact health. Sallis is co-director of the Physical Activity Research Center at UC San Diego, funded by The Robert Wood Johnson Foundation. The goal of the center is to conduct research that will lead to increased physical activity in children and reduce disparities in obesity. He has created the International Physical activity and Environment Network (IPEN) to stimulate international research using comparable methods so data can be pooled. More than 500 researchers from 60 countries are part of the network. Recent published papers by Sallis examine how science can shape healthy city planning and how a neighborhood’s design plays a critical role not only in physical activity but the reduction of non-communicable diseases, such as obesity, diabetes and cardiovascular disease. Sallis is a member of the National Academy of Science, Health and Medicine Division roundtable on obesity solutions. He received his doctoral training and degree from Memphis State University. Anderson’s research focuses on nutrition and chronic disease prevention and includes observational studies and clinical and pragmatic trials that evaluate the validity of biomarkers of dietary intake, effects of healthy dietary patterns on cardiometabolic risk reduction, modification of eating and lifestyle behaviors for weight management and obesity risk reduction and self-management options for controlling blood pressure in low and middle income countries. A member of the national 2015 Dietary Guidelines Advisory Committee, Anderson helped author recommendations for current nutrition intake for healthy Americans aged 2 and older. Anderson has a joint appointment in the Department of Medicine in the Division of Nephrology and Hypertension at UC San Diego, is co-director of the UC San Diego Center of Excellence in Health Promotion and Equity and represents UC San Diego on the University of California Office of the President's Collaborative on sugar, stress, environment and weight. She received her doctoral degree from the University of Washington and a Master of Public Health degree from the University of North Carolina at Chapel Hill. New NAM members are elected by current active members through a process that highlights individuals who have made major contributions to the advancement of medical sciences, health care and public health. Members, who are unpaid, provide scientific advice to Congress and federal agencies, as well as public and non-governmental organizations. The organization collaborates closely with the National Academy of Sciences and the National Academy of Engineering.